Thirty RS Aeros entered for the Bowmoor Bubble, the first event of this winter’s RS Aero UK Winter Series. The rain stopped soon after rigging and the 30kn gusts never materialised, leaving a pleasant days racing in a medium breeze. 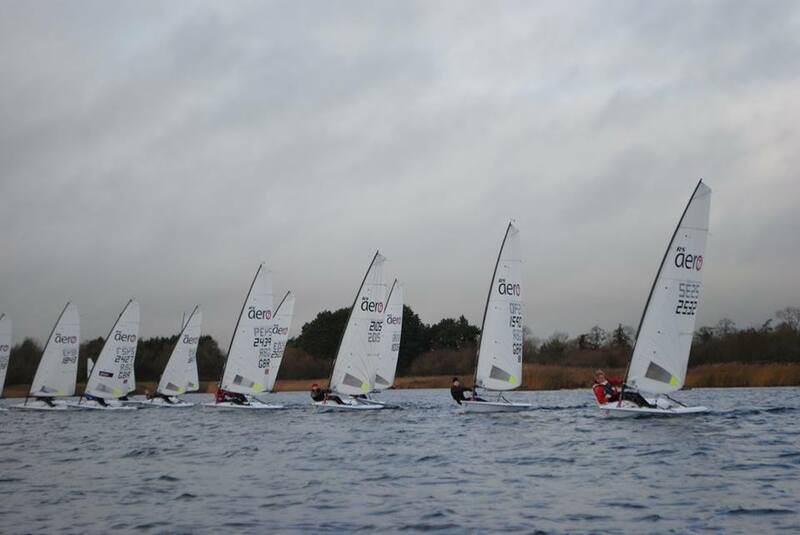 The Bowmoor RS Aero fleet continues to go from strength to strength. 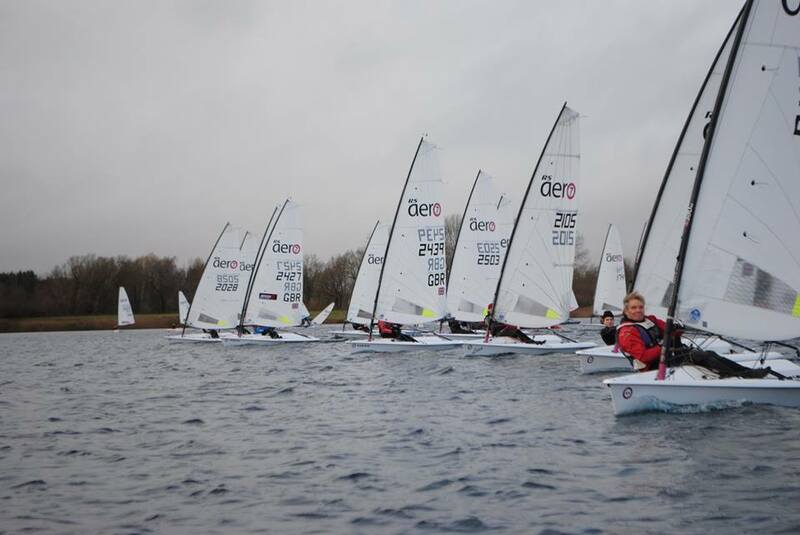 They now have 23 RS Aeros at their club which made up half of the overall entry at their Bubble open. 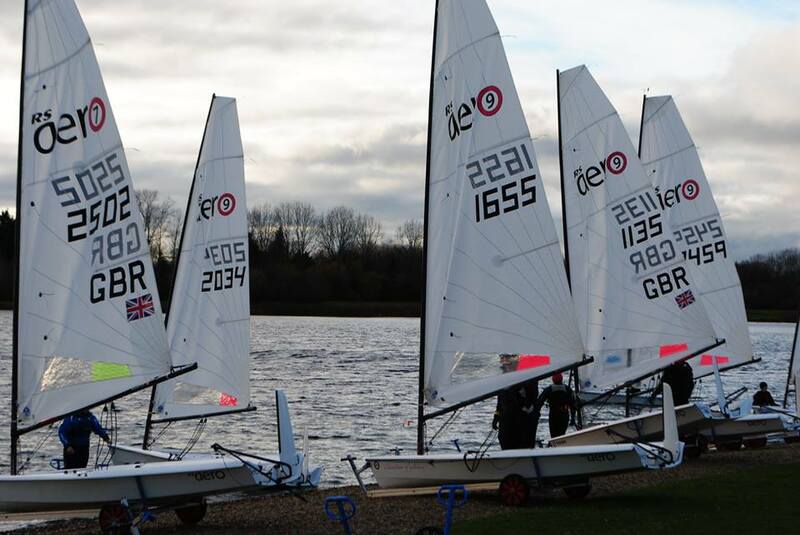 They are also a great racing fleet, taking seven out of the nine podium places from the day’s racing! Dave Lynall is the local legend there and with the fleet picking up tips and sparring against him the level of the whole fleet is elevated. 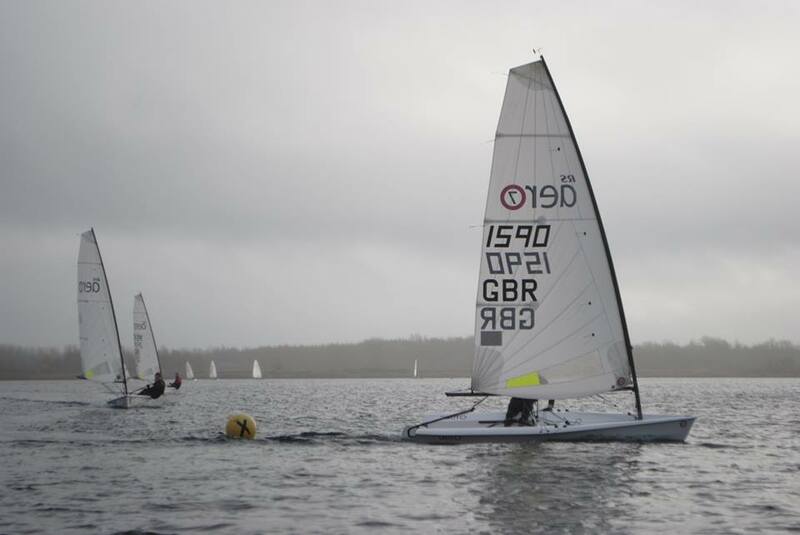 Talented young RS Aero Jedi, Charlie Sansom, has steadily upped his game to challenge Dave and then top youth, Chris Hatton, has since raised his level to match Charlie. Before you know it the whole order is topsy-turvy! But that is progress and evolvement, apparently. That is why Class coaching is organised and we generously assist others, in order that we might all have a crack at the title and the original good guys eventually get beat - which is great. It certainly seems to be working with so many young sailors accelerating to the front of RS Aero events during this season. Well done to them all, a gratifying reward for their effort and dedication. A small but refined fleet of local RS Aero 5s enjoyed close racing with Emily Watson taking three wins to come out ahead of Fi Lucas ultimately. Super speedy Dave Lynall won the first race but Peter Barton started well and did just enough to stay ahead in the next 3 to take the day - and his first time beating Dave! Thanks to Chris Hatton for his detailed RS Aero 7 report. Usually blow by blow accounts of each race can be dull but this one kept me riveted. He is a sailor who remembers everything about his races, which is a great asset when trying to improve. Sounds like Chris enjoyed his day! The first race was started with the right side of the beat to leeward of the trees, and the left side of the beat in clean wind. The committee boat was slightly favoured in terms of wind angle, however, those who started pin seemed to gain early on. Chris Jones, Chris Hatton and Charlie Sansom appeared to be doing best up the first beat, with Chris J crossing Chris H, with Charlie tacking off to the right hand side. By the windward mark, Charlie led, from Chris H, then Tim Hire, then Chris J. On lap two, Charlie went right up the beat to loosely cover Tim Hire who banged right, Chris H went left and got lifted into the lead which he held to win this race, from Charlie, and Tim 3rd. A great start from Bowmoor boats securing the top 2 places in both the 7 and 9 fleet, and a win in the 5 fleet too. The start line was moved away from the trees, but with the wind swinging round within the start sequence, the line ended up being very committee boat bias. Chris H and Harry Joyce started pin and due to everyone going left up the beat, they couldn’t tack across, thus overlaying by about 3 years. Chris H, hit the mark and took a penalty, consequently putting him last. David Cherrill was first to the windward mark and Charlie was 3rd and worked his way into first by the end of the lap and proceeded to begin a horizon job. Chris H began working back through the fleet, and was 5th by the end of the first lap. The racing in the mid fleet was incredibly tough. There were many close battles with opportunities to gain and lose lots of positions in not a lot of time. Neil Crosby got stuck on the outside of mark V causing him to lose around 5 positions. On the final lap, Chris managed to get up to 2nd and attempted to chase down Charlie, but he was too far ahead. Most the fleet went left up the first beat, Chris H and Harry went right, Charlie went up the left, the left seemed to pay massively. By the leeward mark, Charlie led, from Tim, and Chris H, with Rachael Jenkins in 4th. By the end of the 2nd lap, Rachael was into 2nd praying for the shortened course, but Rick (RO) allowed us to do another lap. Up the first beat on the final lap, Charlie, Rachael and Tim banged left, Chris H who was in 4th at this point, boldly banged right, and very nearly took the lead in the dying breeze. The wind dropping off, however, resulted in a lot of position changes in the middle of the fleet, where tactics were becoming incredibly important. John Banbrook nailed this race, using his local knowledge to edge his way into 7th place. In the end, Charlie held on to first, Chris H came in second, and an impressive third from Rachael and fourth for Tim. With the new breeze coming in from the SW, the 7 fleet could still be won by Charlie (2,1,1) or Chris (1,2,2). And with flag “U” flying, Charlie only had to push Chris over the line to win… However, Charlie didn’t challenge him on the line. With 40s to go, Chris was hanging back, watching Charlie get surrounded on all sides near the committee boat, thus, Chris reached over to the pin, despite not being the favoured end. Off the line, Chris, Neil Crosby, Nigel Rolfe and Harry all went pedal to the floor up the left hand side. Charlie tacked off right but got caught in a gaggle of boats and less wind. Chris couldn’t believe his luck leading at the windward mark and seeing Charlie only just in single figures. But as Chris proved in the second race going from nearly last to second… It definitely isn’t over until they cross the finish line. Chris pulled out a small lead from Harry, and had a buffer but Charlie was on a charge. Chris kept his head forward and tried to focus on making his boat go as fast as possible, but every time he looked back, Charlie had pulled through yet another boat. Going into the second lap, Chris initially went left to loosely cover the majority of the fleet, Charlie went right, and Chris went to cover despite being 200 yards clear, however, they got headed, Charlie tacked, Chris stayed on to clear Charlie and Charlie gained 100 yards and more importantly this put him into 3rd place. Despite, still being 100 yards clear, Chris knew what Charlie is capable of. But to Chris’ advantage, Harry was in between and hungry for a second place and fought hard to keep it that way making it difficult for Charlie to pass. The race was shortened at 2 laps and Chris crossed the line by 30 seconds to win his first RS Aero Open and more importantly, beating his main Bowmoor rival, Charlie. Harry crossed next, followed by Charlie in 3rd and Nigel 4th. To conclude a very successful days racing, Chris Hatton [1,2,2,1] was able to win on countback to Charlie Sansom [2,1,1,3] with Nigel Rolfe coming in 3rd on 11pts, Tim Hire 4th on 12pts and Harry Joyce 5th and Top Master on 13pts. There was also only 2pts separating the 5 boats from 6th to 10th. With Rachael Jenkins (21), Chris Jones (21), David Cherrill (22), Neil Crosby (23) and Peter Chaplin (23). An amazing turnout and well done to everyone who took part in the close racing. I would like to thank Bowmoor SC for hosting the event and to thank anyone who, in one way or another, made sure that the day ran as smoothly as it did. Thanking Charlie for the majority of the organising, Rick Plummer as the Race Officer who had some difficult conditions to deal with but still managed to place 4 very good courses. Thank you to those in the kitchen for putting on lunch and Charlie’s mum for amazing teas and cake after the racing and her excellent photos. Thank you to the safety crew and to Peter Barton for saving my speech at the end ☺.